Wright’s Code of Business Conduct requires compliance with applicable laws and regulations in our sourcing of manufactured goods and products and particularly those laws regarding slavery and human trafficking. Compliance Wright’s current supplier and supplier quality agreements require compliance with applicable laws regarding human trafficking and slavery. Certification Wright’s current supplier and supplier quality agreements require its manufacturing suppliers to represent that they comply with applicable laws prohibiting slavery and human trafficking. Verification/Audit Wright reserves the right to audit compliance by suppliers with applicable laws and contractual requirements prohibiting human trafficking and slavery. Training Wright encourages its suppliers to train its employees on laws and regulations prohibiting human trafficking and slavery on an annual basis. 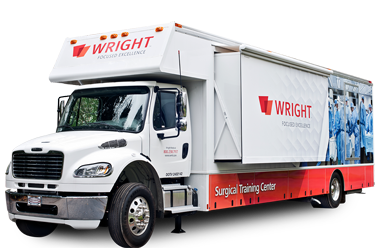 Wright trains its employees on its Code of Conduct on an annual basis. Enforcement Employees are subject to discipline, up to and including termination, for failing to comply with its Code of Conduct. Wright has contractual termination rights with respect to suppliers who fail to comply with applicable laws prohibiting slavery and human trafficking.